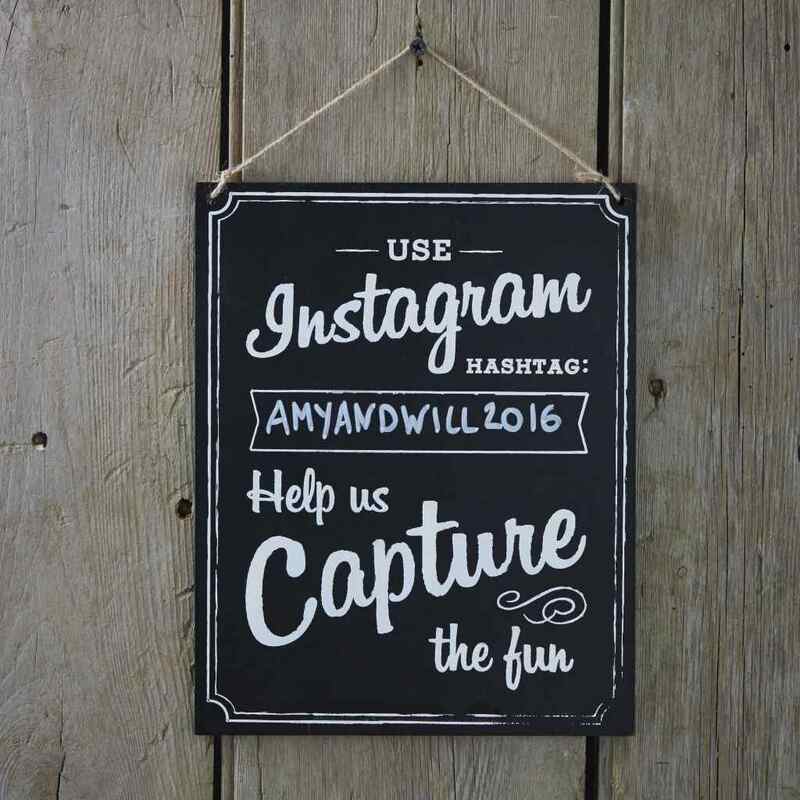 Use this unique chalkboard sign to capture your guest's pictures and collate them with a Hashtag on Instagram! The unique sign reads "Use Instagram Hashtag:........ Help Us Capture The Fun". Use the space to share your Hashtag with your guests!